Now's the time for a GPU upgrade! First off, hats off to f0rkz for the time spent in the overhaul of the site. Looks great bro! As the topic has stated, I have noticed a trend these past few weeks that used GPU’s have flooded the market. I’ve done some research on how “abused” or heavily used the majority of GPU’s have been through the crytpo mining process. A high percentage of them either stay at stock clock speeds or slightly underclocked to save on it’s power usage. Only real wear and tear would be the fan motors, as in, the hours. So what does this all mean? I gambled, rolled the dice and jumped on a deal I thought was great. I purchased (2) Radeon 270x Ghz Editions off of a Litecoin miner. Description stated that the cards were in fact in a mining machine and that they had been used for nothing else. The cards had been tested with Furmark previous to selling as well. As of a few hours ago, I have received the cards, installed them and tested them myself with Furmark. Everything has checked out so far. So if anyone is in the market for an upgrade to their GPU’s, now is a great time! Where did you get these and how much did they cost? Found them on /r/hardwareswap. They were located in Ohio. Purchased both for $210 shipped. 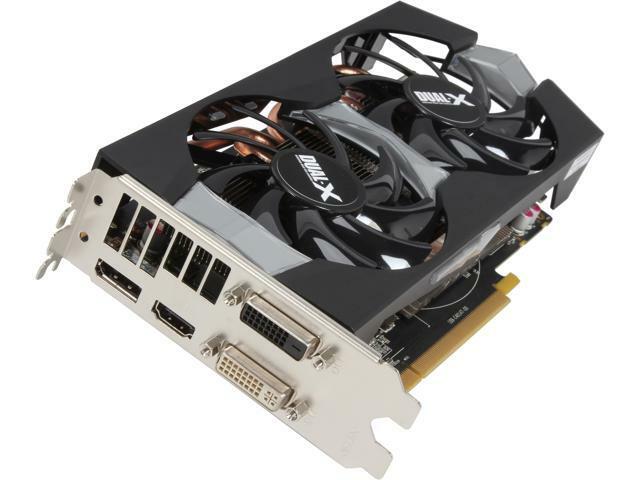 Buy SAPPHIRE Radeon R9 270X DirectX 11.2 100364L 2GB 256-Bit GDDR5 PCI Express 3.0 x16 HDCP Ready CrossFireX Support Video Card with fast shipping and top-rated customer service. Once you know, you Newegg! The only problem with buying GPUs used in mining is that the power components have had very high usage for a very long time. Specifically the capacitors have a lifespan in regards to this kind of abuse, solid state caps (which it probably uses) are far more resistant to aging/high abuse than their electrolytic counterparts but still it’s a concern. On the other side of the coin (lololol pun intended), these cards are obviously solid if they have been burnt-in for that long, so you are at least buying something very stable, so the question is for how long. In addition to that, fan hours/usage isn’t really a concern either. Most turbine-style blower fans (used in GPUs, laptops and 1U servers) are top-down rebuild-able. I’ve done this a few times in a M15x as well as GPUs as well, simple DC motors are easy to clean and rebuild given you have the tools to take them apart correctly (tiny o-ring pullers, etc). Thanks for the more detailed info. I don’t guess I went in as far as that but it’s well noted. If I can get a good two years out of these GPU’s, then I’ll be happy with that. One thing me and the seller learned after the transaction is that Sapphire’s warranty is non-transferable. But I guess that does into the entire gamble. So if the fans go out, I know who to call. Trying to think of a category this should go under. We need a hardware enthusiasts category.